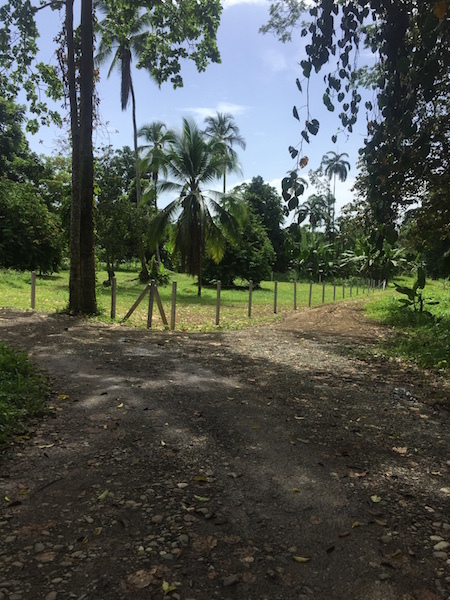 Puerto Viejo Lot makes it now possible for you to live in an affordable & secure community at only 2 minutes from the beach. It is a Special Piece of land for those that love to be bit out of town but at the same time not that far away. Located less than 1 mile from Puerto Viejo Center – and at a very walking distance to Supermarket and Restaurant. The land offers nice graveled roads and it has already a drilled well (12-meter deep) also has its own septic system already done, in place. If you are looking for a piece of land in order to make your own retirement home in a quiet and well- located community – at a very affordable price, this is your opportunity. – Out of any protected area. – Nice trees on the back side. – Steps from the beach. – Walking distance to town.